The Maltz Jupiter Theatre’s annual Conservatory Awards Benefit Luncheon is an inspiring afternoon of student performances as the theatre recognizes outstanding student achievement. The Maltz Jupiter Theatre’s annual First Step to Stardom audition day offers young performers the chance to audition for roles in the Theatre’s professional season productions. 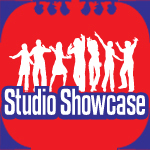 Local students are invited to attend a free open audition in which they learn a dance routine, receive acting tips and learn a song. At the end of each semester, the Conservatory students celebrate their hard work with a showcase. There is no admission fee, donations gratefully accepted to benefit our scholarship program. 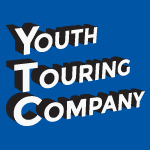 The Youth Touring Company and Dance Company perform at community events throughout the year. Please be dressed to dance, bring a 16-bar cut of musical theatre song, and Italian art song or Italian pop song such as Volare. Bring sheet music, no CD’s, accompanist provided. 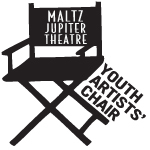 Each year, a team of young theater students are selected to produce a show on the Maltz Jupiter Theatre stage, fulfilling all the positions onstage and behind-the-scenes including directing, producing, lighting, sound design, scenic design and more!